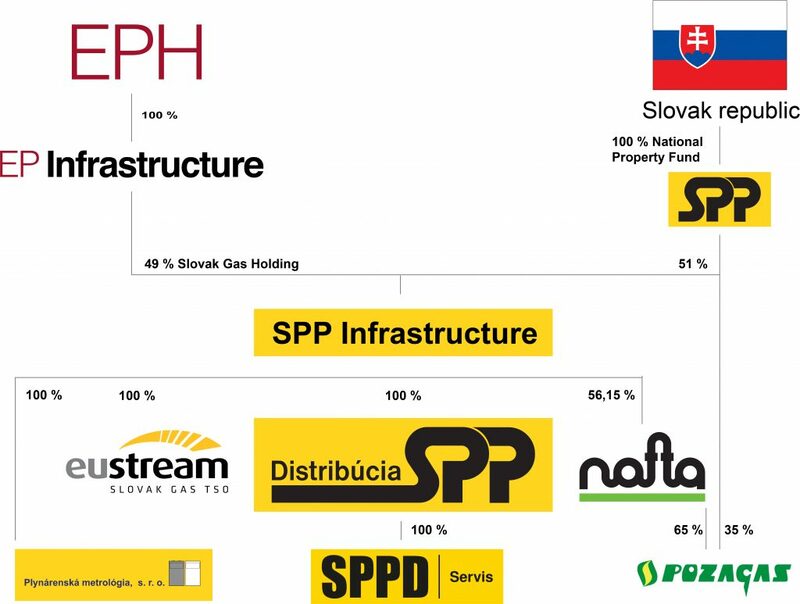 SPP – distribúcia is the owner and operator of the gas distribution network in the Slovak Republic and is the lead distributor of natural gas, providing gas to more than 1.5 million delivery points of its customers and in terms of volume of gas distributed, which accounts for approximately 98 % of the total natural gas volumes distributed in the Slovak Republic. In 2013, 5.046 billion m3 of natural gas were distributed through our distribution network to customers. The company focuses on ensuring the technically safe, reliably supplied and at the same time economically efficient distribution of natural gas. The activities of SPP – distribúcia are concentrated as a priority on sale of distribution capacities, making connections to the gas distribution network, development activities, operation and performance of maintenance of gas facilities. SPP – distribúcia is the result of almost 47 years of history of national gas distribution within the Slovak Republic. The first pipeline began operations in 1967 with the opening of the International Gas Pipeline „Brotherhood“. First volumes of gas for foreign customers were transported in 1968 via the Brotherhood pipeline, which SPP – distribúcia continues to own and operate as a distribution high-pressure pipeline. Due to legal unbundling, SPP – distribúcia commenced operations as a gas distribution network operator, carved out of SPP and established as a separate entity on 1 July 2006. 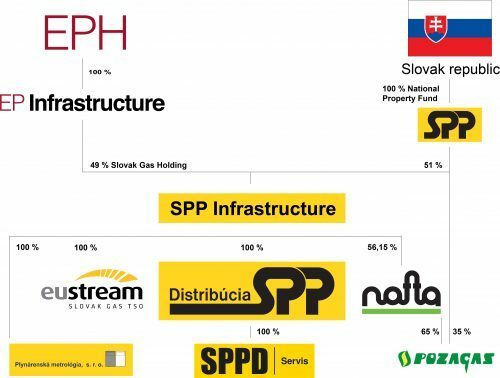 SPP – distribúcia is currently a wholly-owned subsidiarry of SPP Infrastructure and is indirectly owned by the Slovak Republic (51 %) and indirectly owned by EPH (49 %, including management control), a Czech based strategic investor.